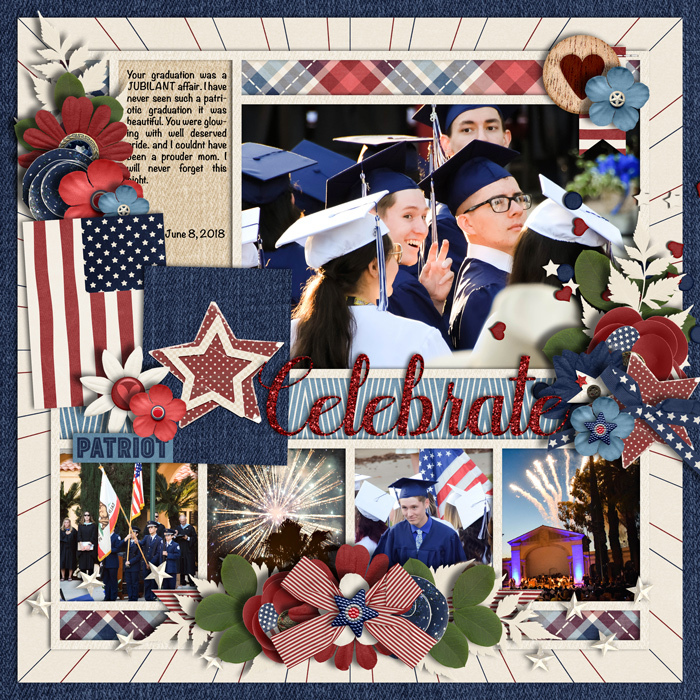 CLICK HERE to save $$$ when you buy the bundle, plus get the matching pennant banners FREE! 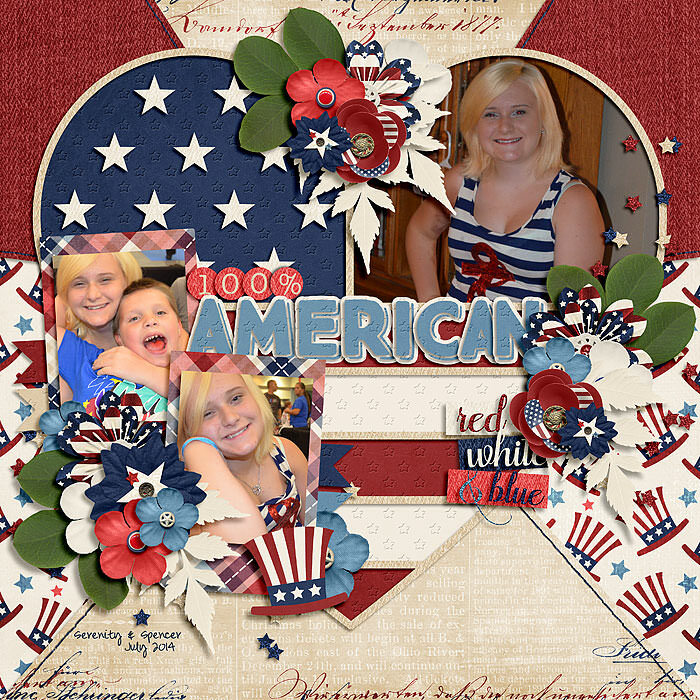 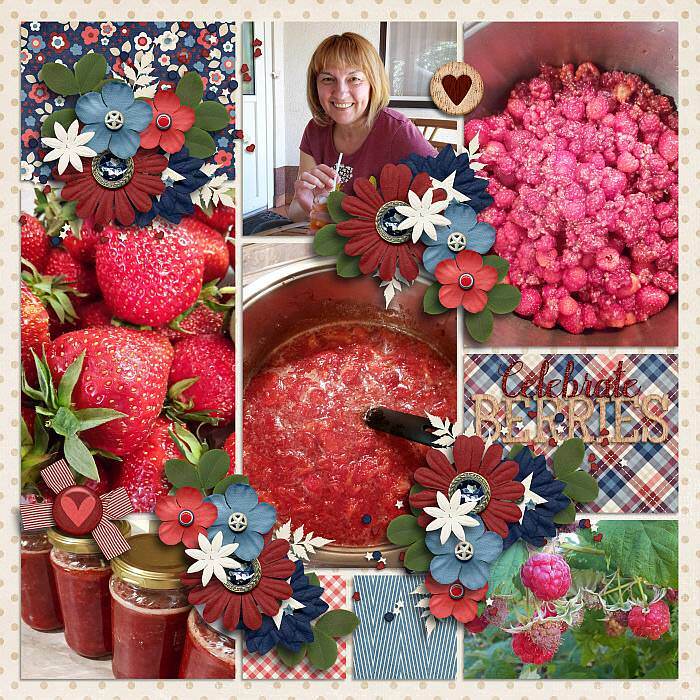 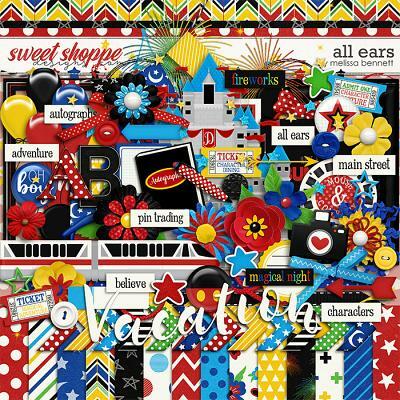 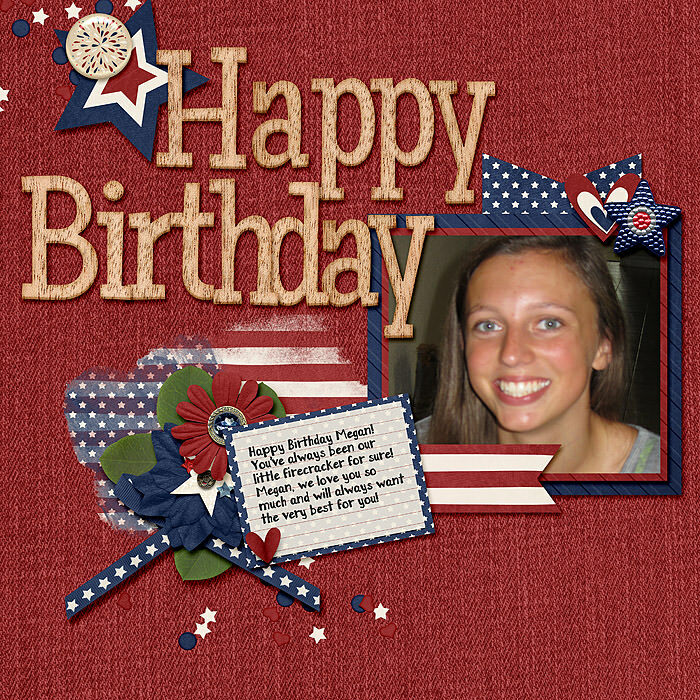 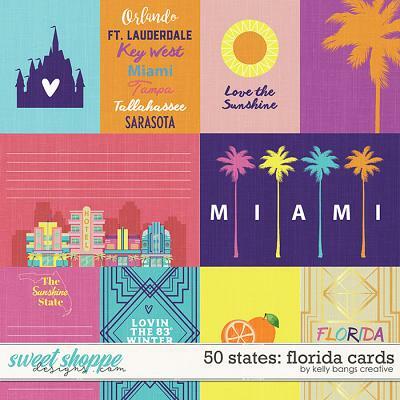 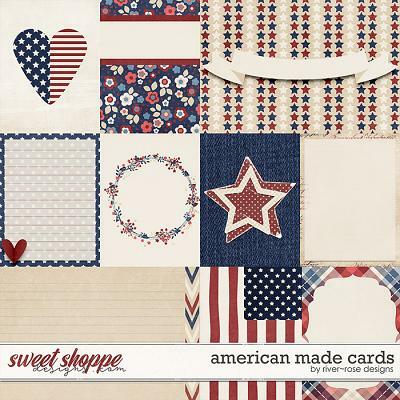 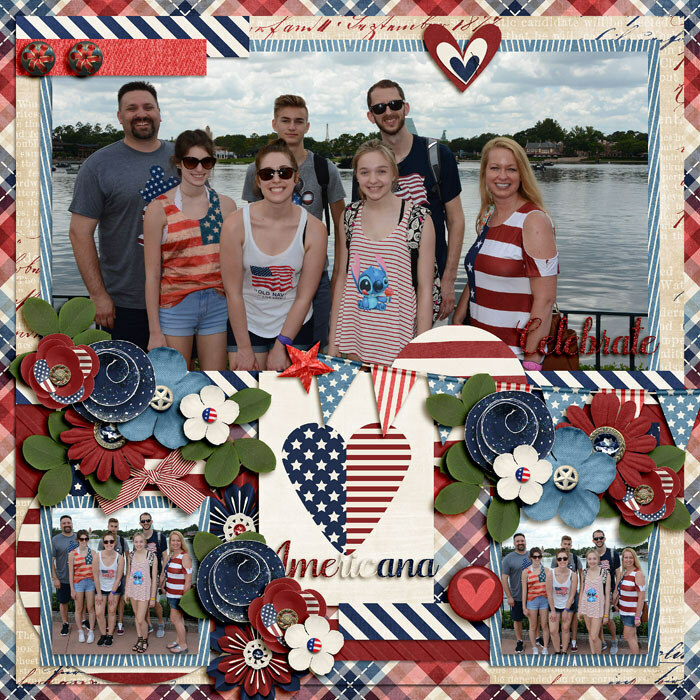 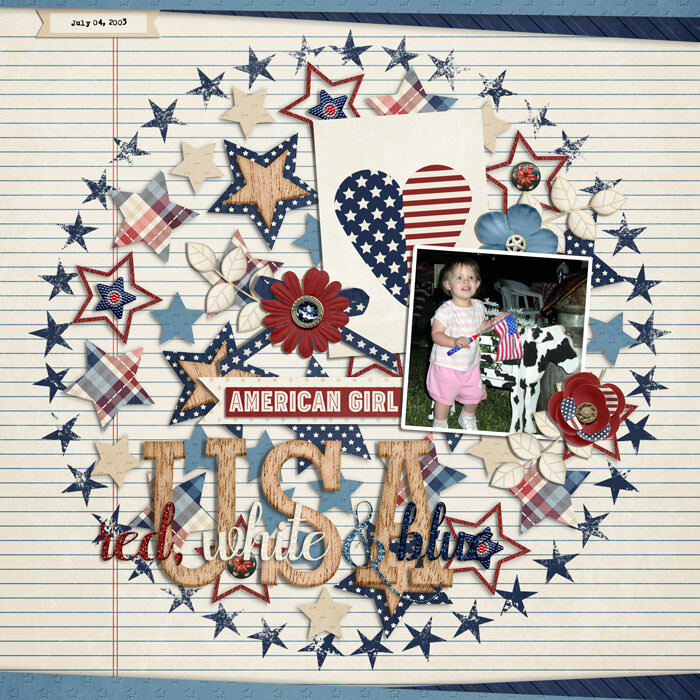 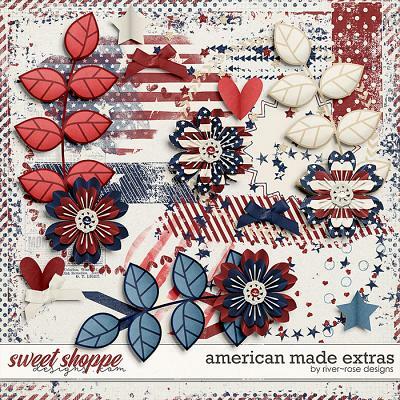 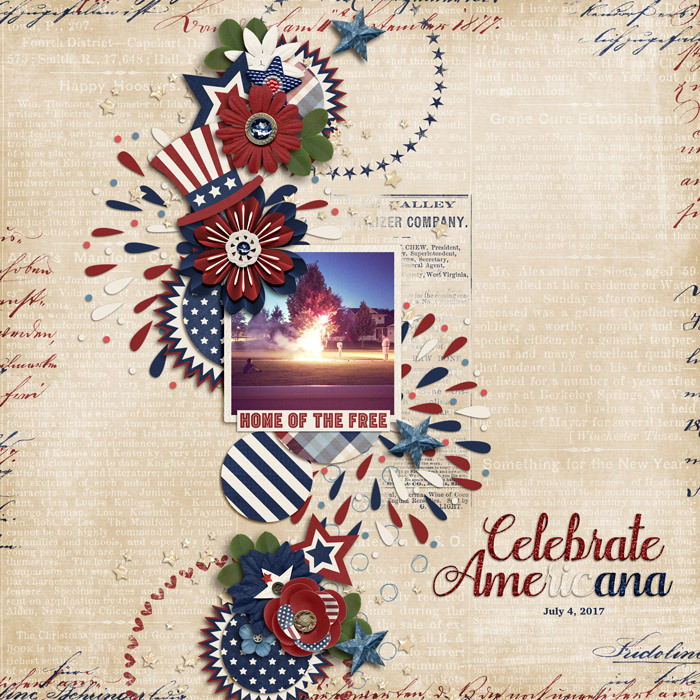 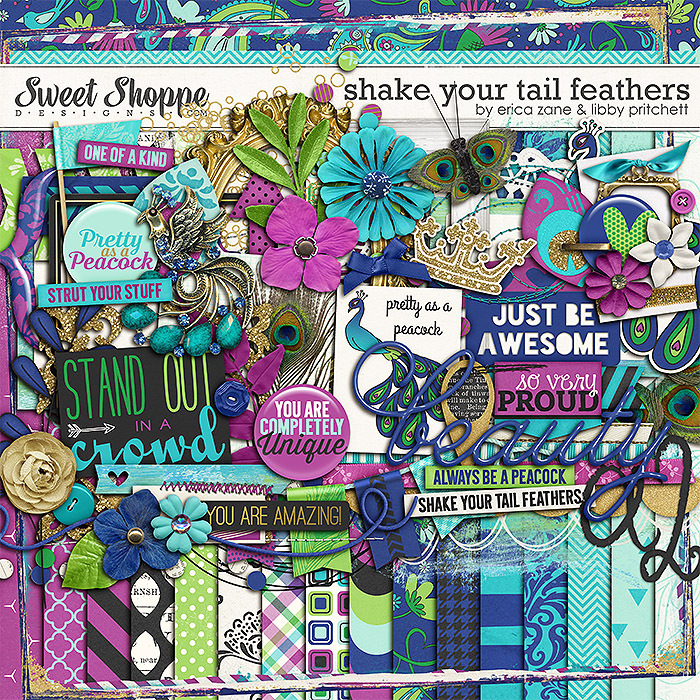 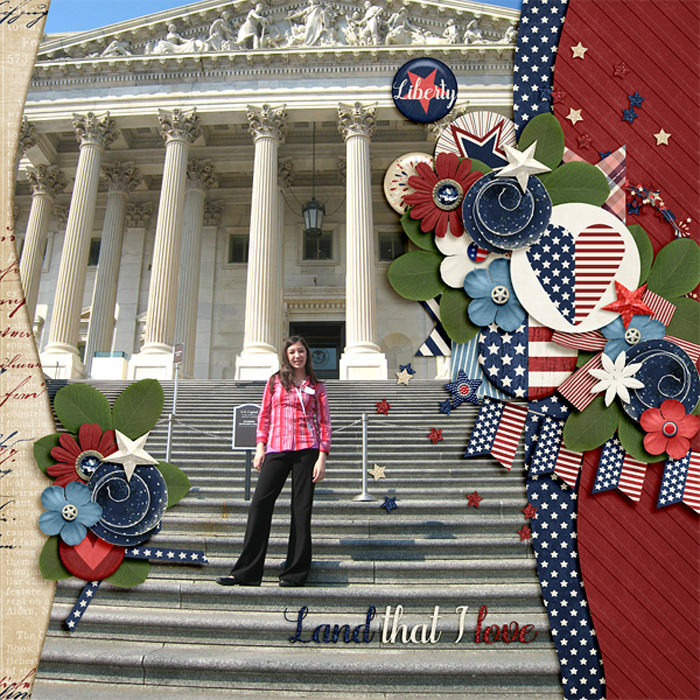 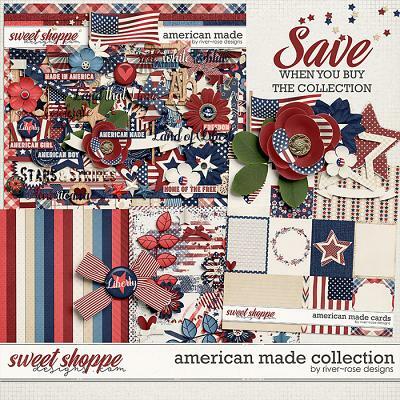 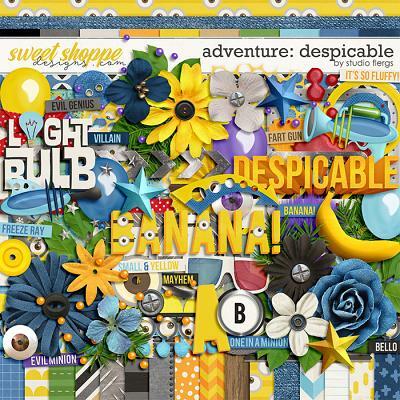 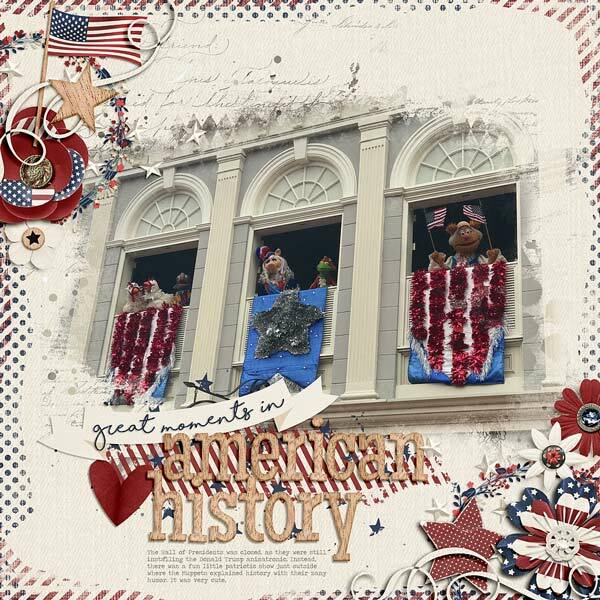 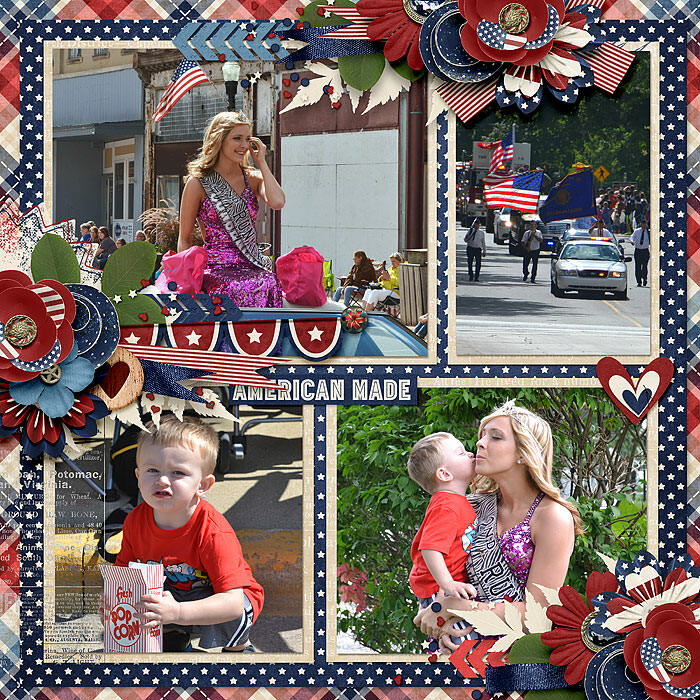 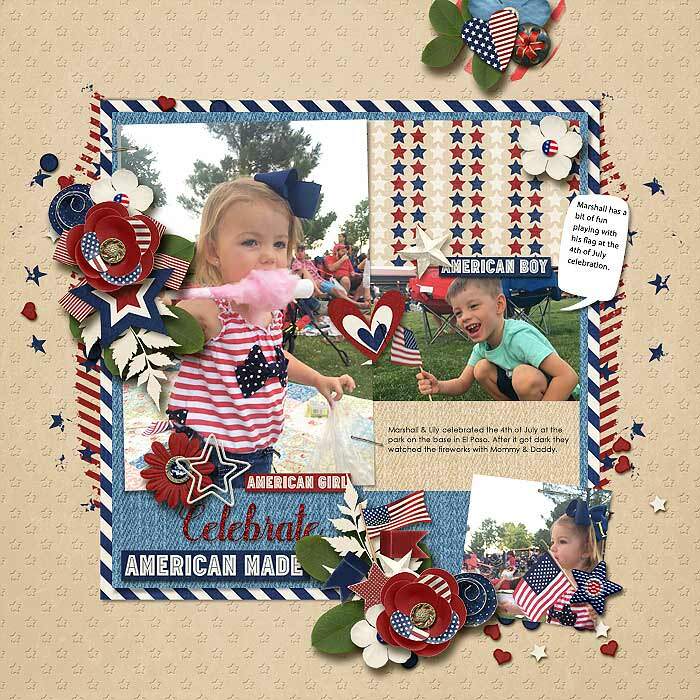 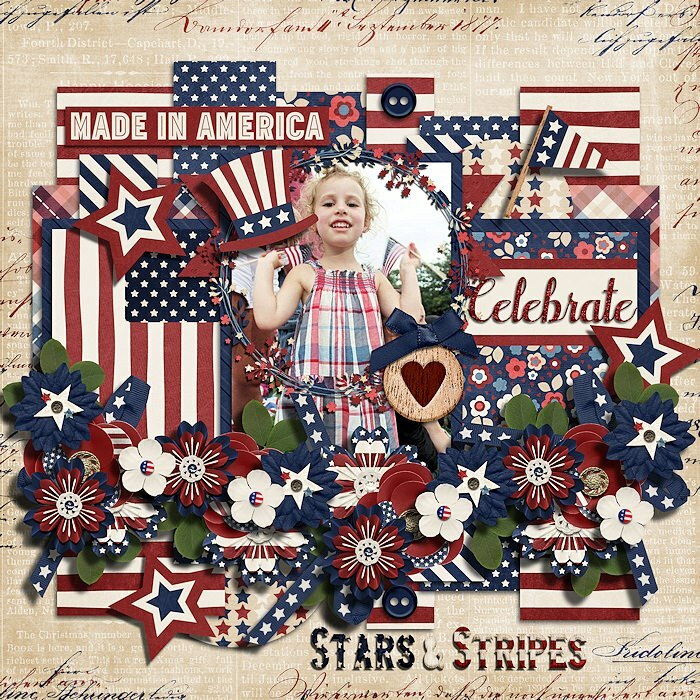 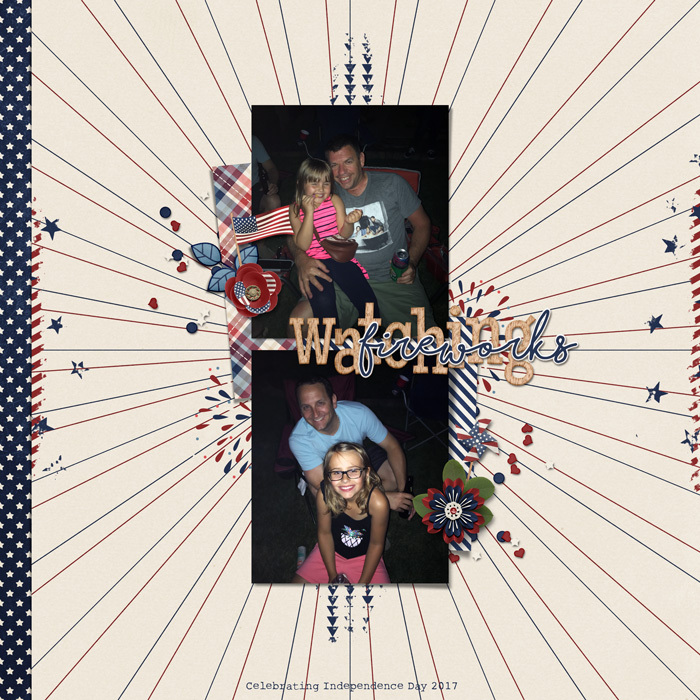 A digital scrapbook kit by River Rose Designs, American Made arrives just in time to help you scrap the 4th of July festivities and any patriotic moments in your life. 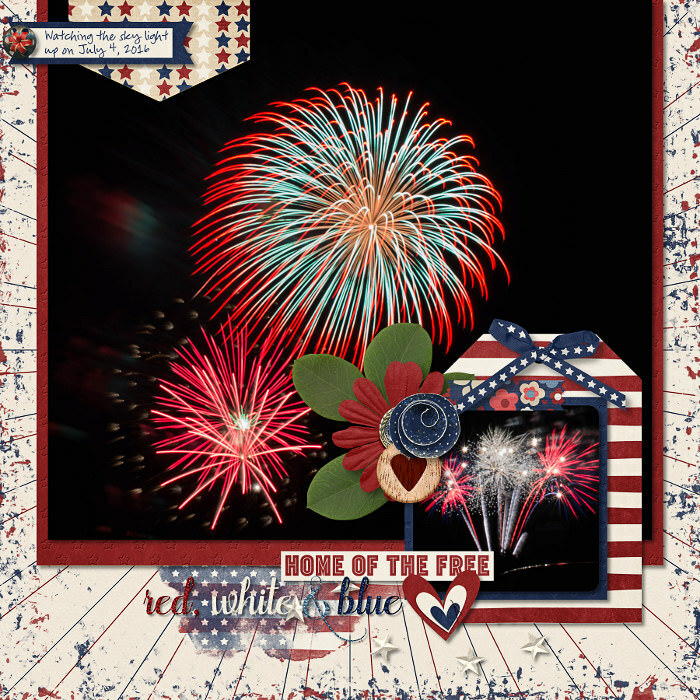 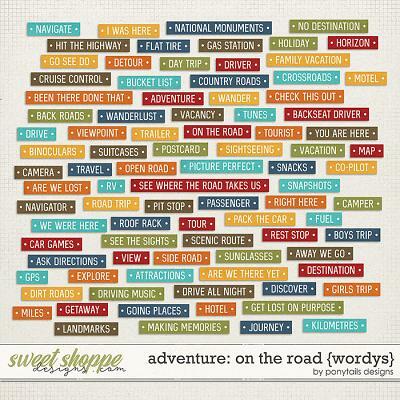 Also versatile enough to scrap non-theme related pages as shown in a few of the additional images below. 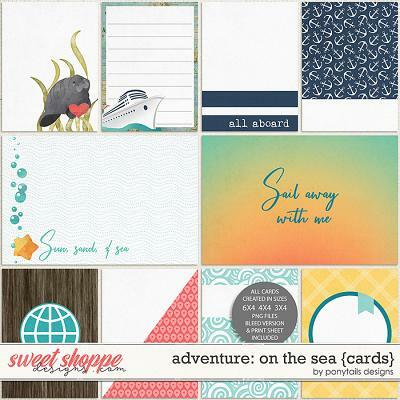 Bundle includes Full Kit, Journal Cards, Extra Papers pack and Extra Elements pack. 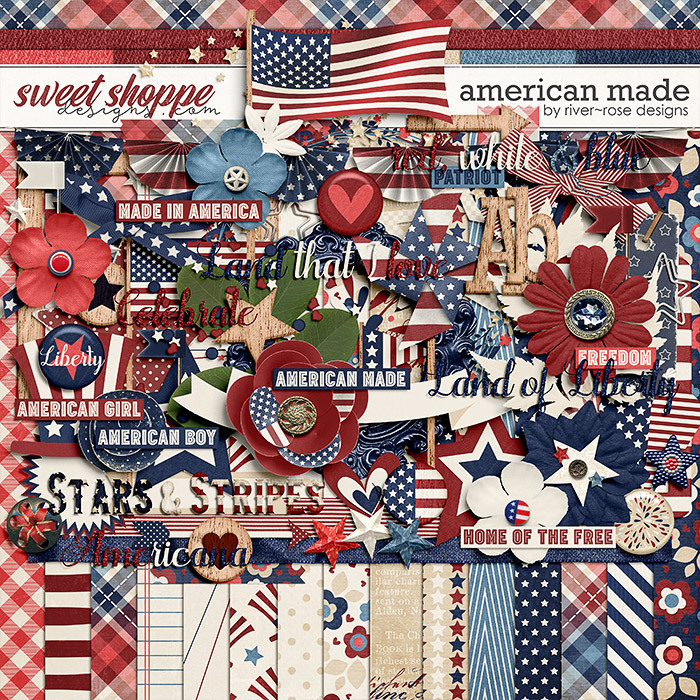 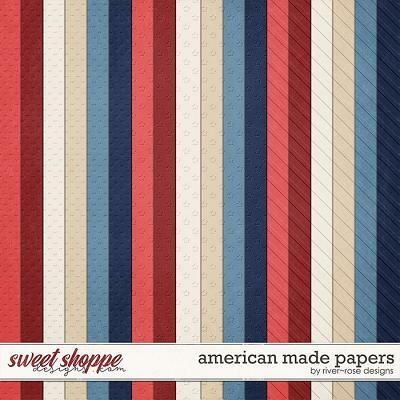 21 background papers (15 patterns and 6 solids), 76 elements including flags, stars, confetti, a banner, pennants, a wreath and a wonderful array of beautiful flowers and foliage as well as a wooden alpha in lowercase and uppercase letters with numbers 0 - 9 in .PNG format.